Bed and breakfast in South Shields. South Shields (photo- "Shields, on the River Tyne" by JMW Turner) is situated at the mouth of the river Tyne. The Metro system brings visitors into the heart of the newly refurbished Market place and main shopping area. Markets are held 4 days a week in a traditional square, with the 18th century Old Town Hall and historic church of St. Hilda. South Shields has a long and proud maritime tradition and a rich heritage of seafaring , shipbuilding and lifesaving. The golden stretch of Sandhaven Beach is popular with visitors, Littlehaven Beach lies at the mouth of the River Tyne and offers excellent sailing, windsurfing, angling and panoramic views of the estuary. Also see South Shields & South Shields attractions. If you are in the right town but cannot find the accommodation you want on this page, you might consider South Shields hotels. On the outskirts of the town. In the Royal Quays Retail Park, just off the A19, less than 8 miles (12.9 km) from the heart of Newcastle's city centre, the hotel offers comfortable, great-value rooms and free parking. The Premier Inn North Shields has a convenient location with good access to the region's major roads. There are plenty of shops, restaurants, cafes and bars nearby. The hotel has a 24-hour reception desk and some rooms can take 2 adults and up to 2 children (under 16 years). On the outskirts of the town. A jewel in the heart of South Tyneside, this hotel was formally the home of Sir William Fox who was 3 times prime minister of New Zealand. Situated in a conservation area in the historic village of Westoe, the hotel is well-positioned for enjoying this oasis of peace and tranquillity. The period residence has been tastefully furnished to reflect an age of literature and romance. Located about 10 miles east of Newcastle city centre, the hotel is convenient for shopping and sightseeing in the bustling city. This homely guest house is situated in the coastal town of South Shields in Tyne and Wear, which boasts 6 miles of coastline and a beautiful pier at the mouth of the Tyne. Set within a large, double-fronted terraced house with a warm atmosphere, Athol House is just a short walk away from the beach, parks, nightlife and restaurants. Furthermore, it is only a 5-minute walk away from the local metro station, which will take you to Newcastle City Centre, the Metro Centre shopping complex and Newcastle International Airport. 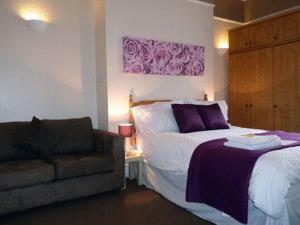 Recently refurbished, this modern guest house provides large and spacious rooms with modern dÃ&COPY;cor. A 3-minute walk from South Shields town centre, Sea Breeze Guesthouse offers modern rooms featuring power showers, TVs and DVD players. There is free Wi-Fi and free ample parking. Overlooking Ocean Road, the family-run Sea Breeze is a short walk from parks, beaches, shops and restaurants. South Shields Metro Station is within a 5-minute walk. All of the bright en suite rooms at the friendly Sea Breeze Guest House have tea/coffee facilities and local area information. A selection of DVDs and CDs are available for guests. A full English breakfast is served from 06:30 every day, freshly cooked to order. The A1, A19 and Tyne Tunnel are a 10-minute drive away. 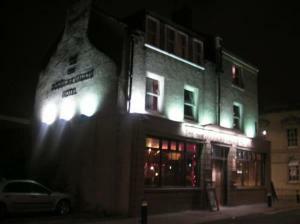 Newcastle Central is a 20-minute drive or train journey away. The Seaways bed and breakfast is in the centre of South Shields, within 2 minutes' walk of shops, parks and beaches.Just 12 miles from central Newcastle and 500 metres from the beach, the Seaways Guest House is a 3-star bed and breakfast. A full English breakfast is served from 06:30. This family-run guest house offers rooms with simple, stylish decor and TVs with DVD-players. Most rooms have en suite bathrooms. The guest lounge has a TV with video and DVD-players. Free Wi-Fi is available throughout the building. A vegetarian or continental breakfast is available on request. Seaways has on-street free parking and secure cycle parking is available. The A1, A19 and Tyne Tunnel are a 10-minute drive away and South Shields Metro Station is 400 metres away. 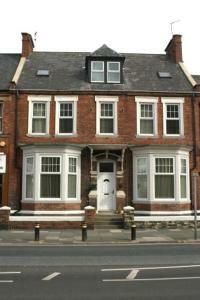 The Seaways bed and breakfast is in the centre of South Shields, within 2 minutes' walk of shops, parks and beaches. South Shields Museum and the Customs House theatre and art gallery are within 10 minutes' walk.